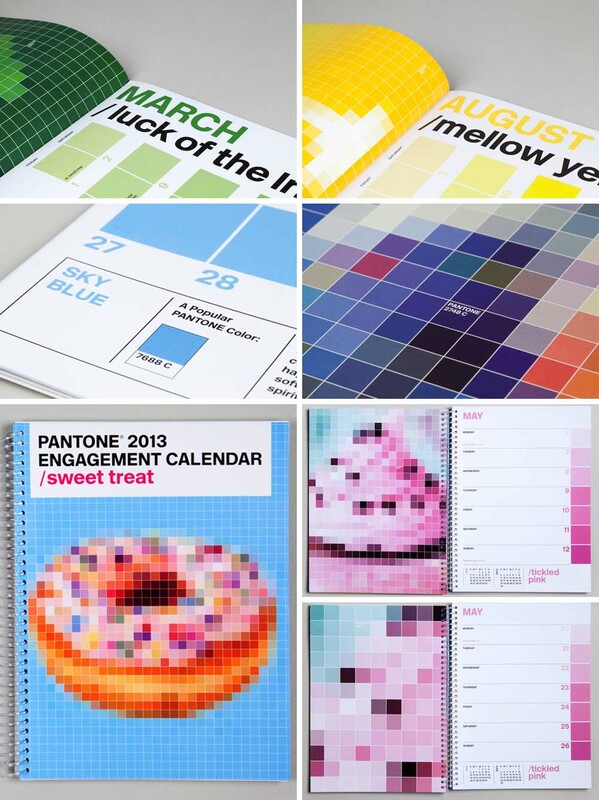 Eddie Opara and Brankica Harvey of Pentgram have designed the Pantone 2013 Wall and Engagement Calendars. 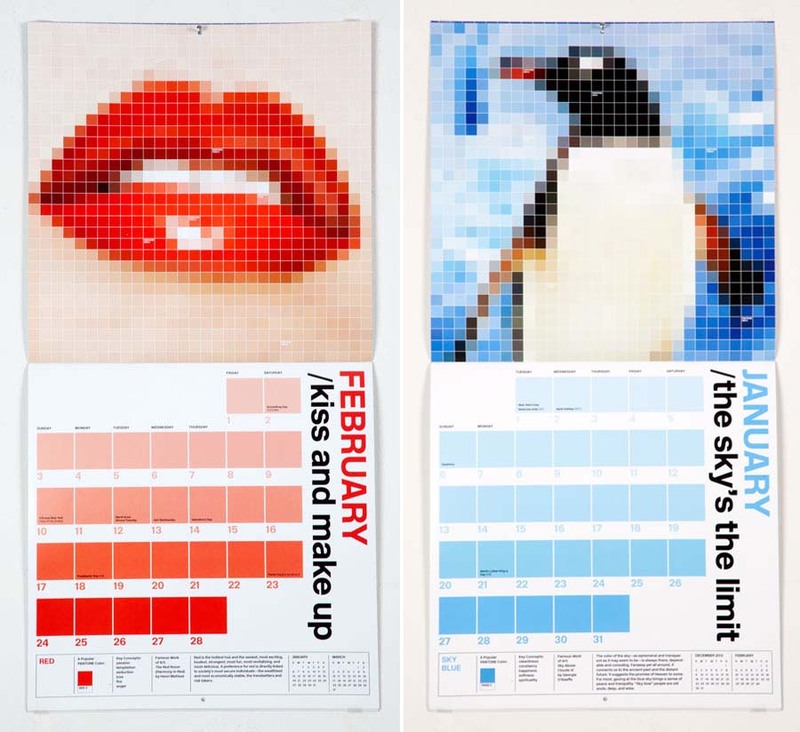 Using the PMS color chips as image pixels, the designers created a “digitized” seasonal thematic image for each month, much in the way Vik Muniz recreated famous Impressionist paintings with Pantone chips (see here). 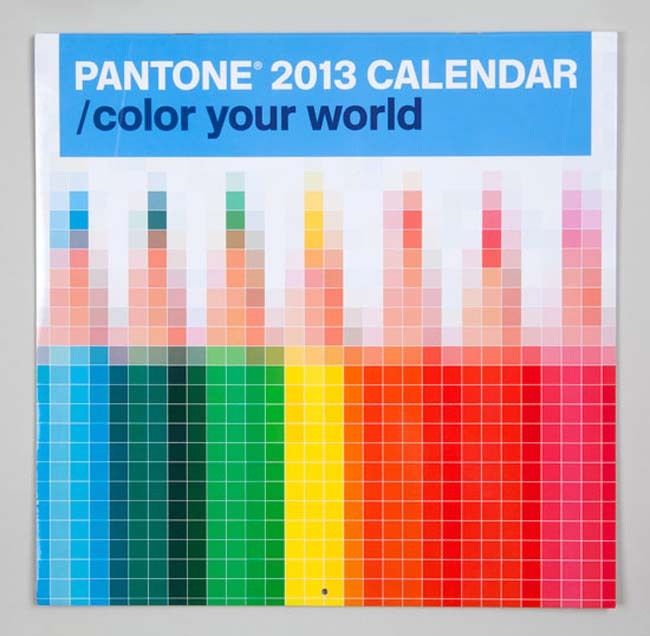 Each month features a Pantone color and continues with tints of it, each a square for every day of the month. Cleverly and nicely done, though I have to admit a preference for the images in the engagement version. That donut on the cover is pretty great. 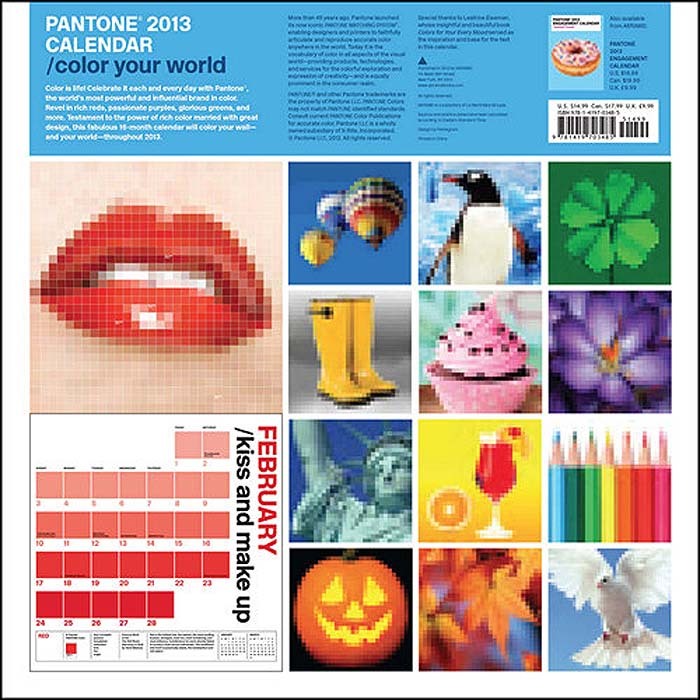 This entry was posted in Fun, Graphic Design, Pop Culture. Bookmark the permalink.